This CD Sheet Music™ collection surveys the wealth of American concert music from the 19th and 20th centuries. 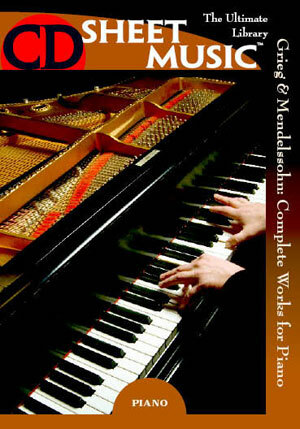 Includes over 150 works for solo piano, piano duo, and piano four-hands by forty familiar and lesser-known American composers. 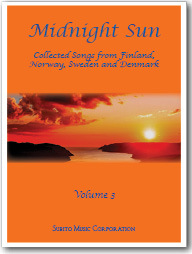 Includes works by: Beach (Four Sketches, Valse Caprice); Bowles (Folk Preludes); Carpenter (Krazy Kat); Chadwick (Caprice); Colderidge-Taylor (Forest Scenes); Cowell (Three Irish Legends); Crawford ; Farwell; Foote (Five Poems after Omar Kayyam); Foster (Quadrilles, Soirée Polka); Gottschalk (Bamboula, Souvenir de Porto Rico); Grainger (Country Garden, Shepherd's Hey); Griffes (Roman Sketches); Herbert; Ives (Some South-Paw Pitching); MacDowell (Woodland Sketches, New England Idyls); Ornstein; Paine; Persichetti (Poems Vols. 1-3); Piston (Passacaglia); Riegger (Petit Etude); Ruggles (Evocations); Sousa (Hail to the Spirit of Liberty, The Stars and Stripes Forever); and more.